I hear you. I genuinely do. You're telling me that corporations are destroying the environment. That nature is being harmed. That greedy CEOs don't care about anything other than lining their pockets. That politicians are turning a blind eye to the suffering and destruction around them because those same CEOs are keeping them in office. You're angered by your inability to exert change: that our democracy is being hijacked by the highest bidder. I understand where you're coming from. You're frustrated with the undue role of industry in our political and social systems, with the blatant corruption that exists in society, particularly when corporations can get away with so much. You think that I'm ignoring you. But I'm not, and I agree with you. I, too, am concerned about the future, about my children and grandchildren: will they have clean air? Will they have enough water? And why doesn't anyone seem to care about this?? I, too, am aghast by the ruling on Citizens United vs FEC. I, too, feel powerless when our elected representatives stand idly by while nature's clock is ticking. You're frustrated by the fact that the laws we need in society to protect our environment are being ignored because some politicians are ideologically driven to believe that climate change isn't real. These ideologies are fueled by corporate lobbyists, so it's natural that you don't want corporations to be "tinkering" with our food. You think that I'm a cold, mechanical scientist who is letting this happen. That I'm ignoring the evidence that we're being slowly poisoned because I, too, am part of the system that is letting this destruction happen. You think that GMOs, which I am defending here and are made by the same companies that you distrust so strongly, are the newest evil that they have unleashed on our planet. I hear you. But here's where I believe we disagree. We have societal challenges that we'll be facing in the next few decades: global warming and population growth. Both of these bring with them additional challenges that will impact agriculture even further: more plant borne illnesses, more land dedicated to homes/roads/industry, deepening droughts, etc. As we confront these problems in agriculture, we need every tool at our disposal. You're trying to single out a crop modification technique when the lines between these modifications are incredibly blurry since the end result can be the same. For example, there are herbicide tolerant crops generated by transgenesis (i.e. GMOs) but there are also herbicide tolerant crops generated by mutagenesis. In trying to draw these lines, you may eliminate a powerful, precise, and efficient tool that we may need down the road to help us face these challenges. You claim that we should have access to an economical, healthy, and safe food supply. But what if in the process of trying to achieve that goal you eliminate a tool that could have actually helped you achieve it? Take for example citrus greening: if we don't find a solution for it in the next few years, our citrus industry may get decimated. There's quite possibly a genetic modification that could address citrus greening. Should we remove the solution from the table just because of the way the modification was introduced? whose actions I may not always agree with, but have developed the transgenic crops that I support. 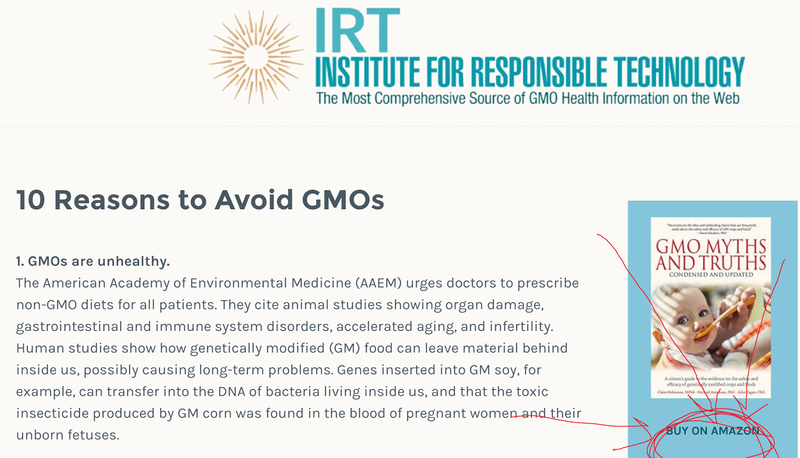 And I do this because I have read no credible evidence to suggest that there's a risk that is uniquely associated with GMOs. 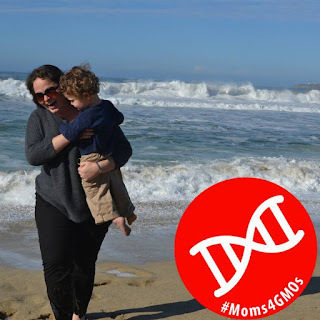 I do this because the scientific consensus is strong on the side of GMOs. This is the same scientific consensus that you defend when you speak of global warming. Why do you trust one and not the other? Why do you trust the scientific institutions on one and not the other? If the gas and oil industry is orders of magnitude larger and could not buy the consensus on climate change, then what leads you to believe that the agricultural industry has somehow bought a consensus on GMO safety? You and I are not so different. We care about many of the same things. The elimination of GMOs is not a silver bullet that will somehow solve the issues in our society. We should focus our efforts on the real issues and not a convenient scapegoat that has been placed in front of us.